Carefully setting up your set can save you a lot of time and trouble in post when shooting and editing sunglasses. Shooting sunglasses can be tricky. You want to see a good representation of the shape and style, but most lenses on sunglasses are curved and have a tendency to reflect everything in front of them. Editing out reflections in lenses may seem pretty straight forward, but the subtle gradient of many lenses can make it tougher than you might think. This set up will give you virtually no reflections and a great looking shot of your sunglasses, right in camera. Note the light placement. I used a beauty dish here for ease of set transition, but two softboxes would work well. You are essentially bouncing light back onto the glasses from the front and back sweep. If you are getting milky looking frames, add a flag to keep some of the softbox rom spilling directly onto the glasses. This is the set up used by the company I shoot for full time. One of the benefits of working in a production studio is that you get to work with other photographers and share ideas on how to tackle certain issues. The sunglass boat is one such instance. 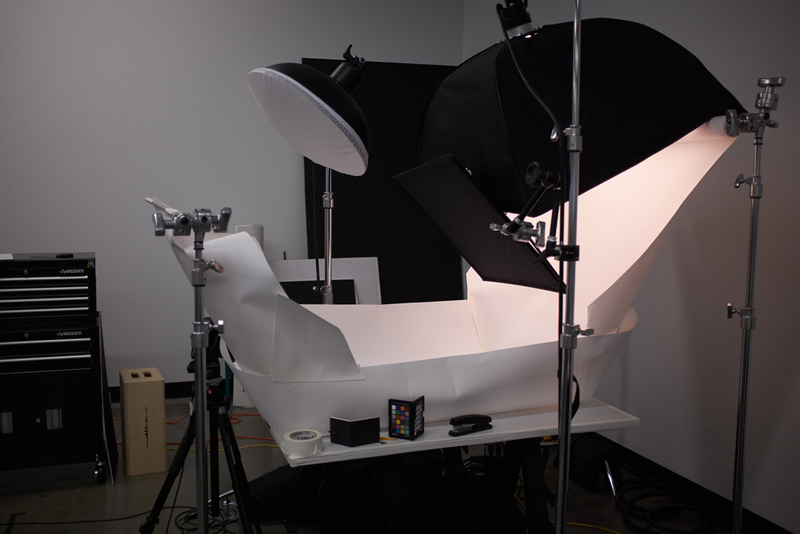 The idea here is to build yourself a "boat" out of white seamless paper, with only one hole big enough to fit the lens. 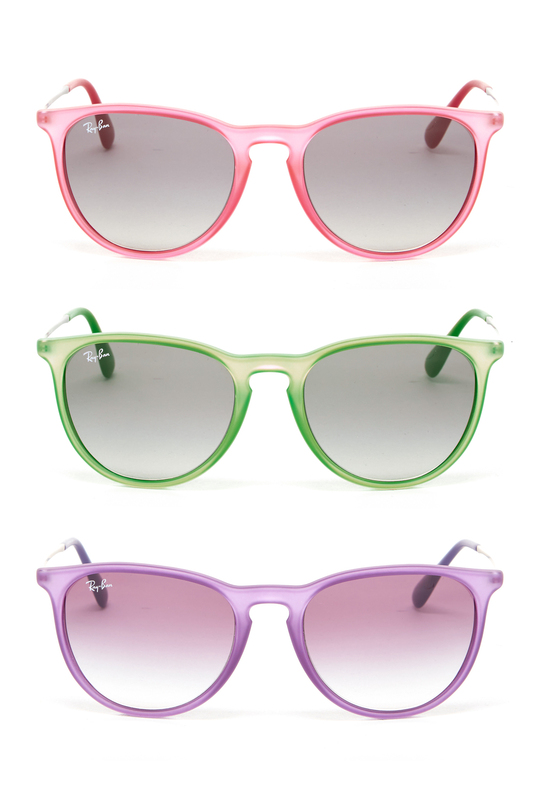 This way, everything around your sunglasses is white and will reflect as seamless white in your lenses. Carefully cut a hole in the paper to allow just the lens through. This will keep your reflections to a minimum. This set up will eliminate reflections for quite a few styles of sunglasses. Aviators and similar styles may reflect the lens itself, but that is far more manageable in post than most other reflections. This set up has the added versatility of being able to shoot straight on and at an angle, or back shot in one set with out needing to move fill cards or fancy footwork.